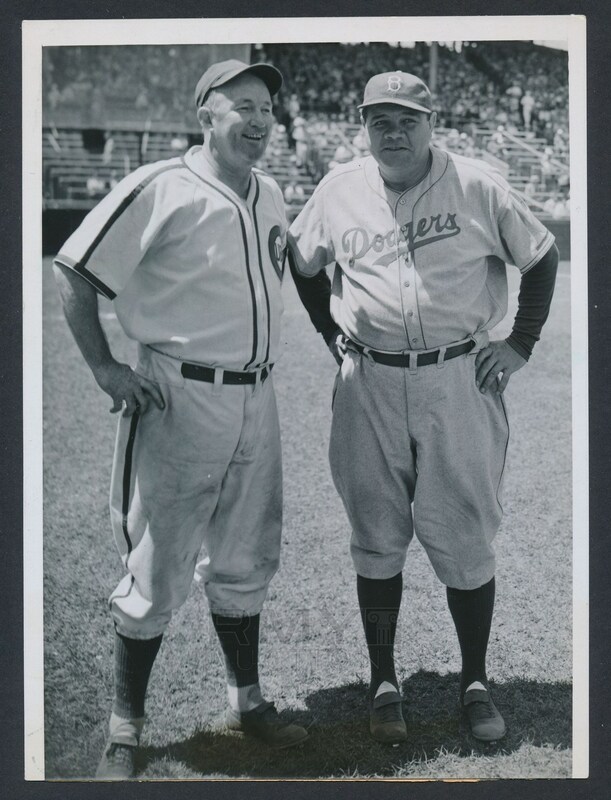 Lot # 46: 1938 Babe Ruth and Gabby Hartnett, "Stars Turn to Coaching in Baseball"
1938 Photograph of two former baseball stars as they turned their attention to coaching as a way of staying in the game they loved! 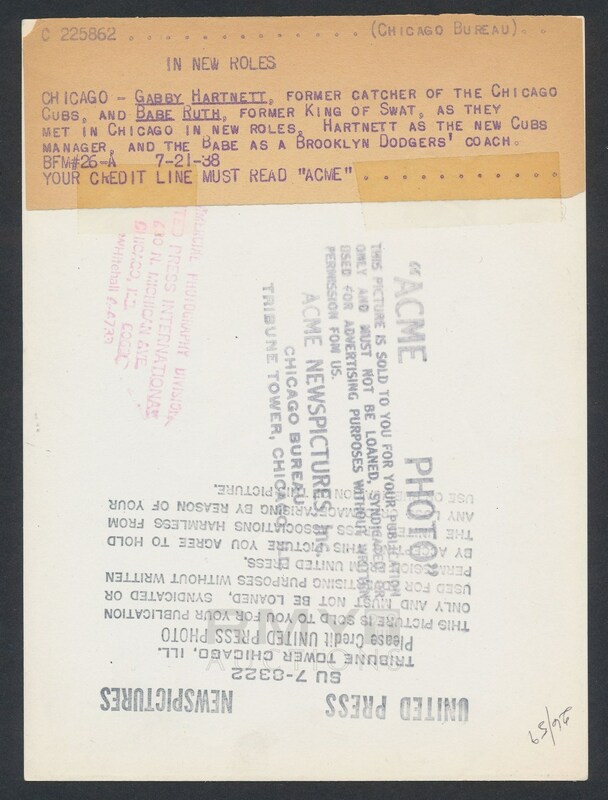 Included are Babe Ruth in uniform with the Dodgers and Gabby Hartnett with the team he played for, the Chicago Cubs. A touching image as Ruth had hoped this would lead to a managers spot, but the Dodgers were just using him for gate receipts and no intention of giving him the top job! Issued by Acme and stamped on the back in nice shape overall.